Looking for movie tickets? 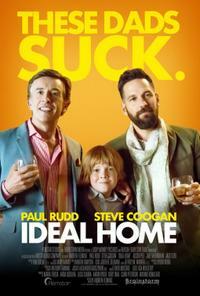 Enter your location to see which movie theaters are playing Ideal Home near you. Celebrity chef Erasmus and his partner Paul have a happy and rather self-indulgent life together. Their perfect existence is turned upside down when, at a dinner party, Erasmus is confronted by the grandson he never knew he had.